For today, it’s the start of something for Vaalantine, who’d like some martial arts suited to a mortal character. The Mortal Martial Arts are largely ignored in Exalted; the difference between a mortal master and a guy with some good attribute scores and a weeks training is… +4d, and maybe a speciality die or two, or even taking that “signature style” booster or some “mortal charms” if the GM will allow it. Now +4d (or even a few more dice) is generally enough to tip a mortal fight most effectively (barring some really lucky and unlucky rolls) – but it really isn’t very interesting in mortal games and it’s kind of unsatisfying as the difference between (martial arts legend of choice) and (guy with good reflexes). 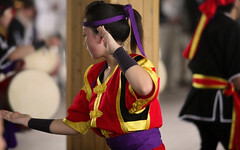 Of course, an awful lot of real martial arts training involves endurance training, drilling moves until they become reflexive, learning to effectively use your physical abilities (and learning their limits), breath control, and a lot of other stuff that (in Exalted terms) is kind of dull, even if it is important in a fight. Of course it hurts! Isn’t that the point? Cost; –, Min; Ess 1, Martial Arts 3, Type: Supplemental, Keywords; None, Duration; Permanent, Prerequisite Charms: None. Does NOT require an essence pool. The user has mastered a mortal martial art, such as Judo. He or she may designate five specific maneuvers for that art, such as “Flying Double Kick”, “Wrist Lock”, or “Dragon Sweeps Tail” (leg sweep). Each may be invoked once per game session to provide a +2d bonus to a relevant stunt, which may take the stunt bonus above 3d. A 3d+ stunt may explicitly blind or hold an opponent for a turn, stop an overwhelming attack, or provide any of the other usual scene-editing functions. This charm may be taken again, representing a new martial art, at Martial Arts 4 and 5. Each time the user acquires a new set of daily maneuvers. The powers of Exalts (And gods – but not raksha, ghosts, jadeborn, or dragon kings) surpass this “charm”. If a new Exalt possessed this charm, he may trade it in for a martial art charm he or she is otherwise qualified for. Cost; –, Min; Ess 2, Martial Arts 4, Type: Supplemental, Keywords; None, Duration; Permanent, Prerequisite Charms: (Mortal Martial Art) Mastery, Does NOT require an essence pool. The user gains a virtual Essence Pool containing (Will + Martal Arts) “motes”. These can only be used to power thaumaturgy and martial arts effects. The pool is renewed on a daily basis provided that the user gets sufficient nourishment and rest and is currently healthy. They may also be renewed by motes from stunts enhanced by (Mortal Martial Art) Mastery, but cannot be renewed by other stunts or in other ways. This charm may be taken again at Martial Arts 5, increasing the virtual pool by (Essence + Martial Arts). There; for the cost of five charms, you can now be a genuine mortal master. You’re still no match for an Exalt of course, but at least you’ll have some fairly effective tricks – and if the GM allows you to stunt “perfect” defenses (I would, at least at +3 or +4d) you can actually hold off an Exalt for a round or two if you have appropriate maneuvers – and if they aren’t highly-experienced or all that serious about it. One or two good blocks or evasions won’t last for long. If you want to eliminate the restrictions on Exalts and Gods using these charms it’s unlikely to really break the game – there are plenty of martial arts that do that already – but it will provide them with some awfully-convenient combat recharge options. If you want to throw in a few body-hardening exercises, or other boosts – buy a few “mutations” with special effects to suit. Have you developed callouses like iron on your hands, toughened yourself to withstand blows, and so one? Invest a three bonus points in “Claws” (calloused, toughened, and well-exercised hands), “Fur/Scales” (callouses and conditioning and toughening exercises), and “Large” (incredibly buff due to intensive training). After all, it’s only Wyld Mutations – not “mutations” gained from training, birth, demesnes, or manses – that limit your ability to survive in creation and the special effects of any mutations you buy are pretty much up to you. Next up… the Greater Thaumaturgial Martial Arts. “Terrestrial” styles designed for Mortals.